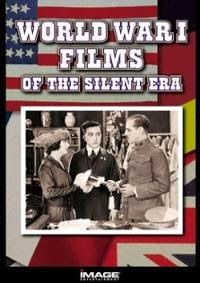 The other day, I was looking through the DVD racks in my office when I came across one I had completely forgotten about titled World War I Films of the Silent Era. I’d picked this up, real cheap, a while back at a local church flea market, but never got around to watching it. On the back cover, it lists the DVDs contents, with a quick description of each of the films, and the moment I read what it had to say about Fighting the War, a 1916 documentary short photographed by American Donald C. Thompson, I knew I had to see it immediately. Shot between February and June of 1916, Fighting the War contains actual footage of World War I, following the French Army as it marches in formation, deals with life in the trenches, and fights against the Germans (at the time, the French were on the Western Front, engaged in the Battle of Verdun). Along with the ground war, the movie also takes to the skies, providing an aerial view of the battlefield and concluding with a dogfight between German and French planes, which Thompson shot, close-up, while in an aircraft of his own! More an archive of moving images than an actual documentary, Fighting the War is comprised of clips, some fairly brief, of everything from artillery opening fire to men shuttling equipment through conquered German trenches. For the most part, the film chronicles the French Army performing everyday mundane tasks (marching long distances, preparing for battle), though some clips do serve as a reminder of how horrific this particular war was (one chapter is titled “Clearing Gas from Trenches”, in which troops in gasmasks work in an area that, just prior, had been bombarded with poison gas). Not much information exists on Donald C. Thompson, credited as both the director and cinematographer of Fighting the War. According to a magazine article I found on the Kansas Historical Society’s web site (Thompson was born in Topeka around 1884), he was a photographer / correspondent throughout most of WWI, and was also in Russia for the October Revolution of 1917 (because of the war, traveling through Europe was difficult, so Thompson reportedly sailed to China and crossed the vast Russian landscape via the Trans-Siberian railroad, arriving in Petrograd just in time to witness history). An adventurer who was fascinated by war (years later, he was in Ethiopia when Mussolini’s army invaded), Thompson spent the majority of WWI among the troops, in the process capturing hundreds of photographs and thousands of feet of film. I have no idea how much of his footage remains, but even if the 23 minutes of Fighting the War are all we have left, it’s still an invaluable look at a dark period of history that occurred nearly 100 years ago. Bengt: My pleasure! And thank you for taking the time to read it. It's appreciated!